Most sites log this data for operational and statistical purposes. Many sites also log this data to collect as much information about their users as possible. They can then use that data for a variety of purposes, or even sell that data – e.g., for re-targeting. EFF researchers discovered this leak of personal health data from healthcare.gov to DoubleClick. As indicated, the referrer in this case leaks information about your age, your zip code, whether you are a smoker or not, and potentially even your income. Other companies (link1, link2) have disclosed similar vulnerabilities and leaks. To prevent this type of data leakage when Firefox users are browsing privately, we are changing the way Firefox sends referrers in Private Browsing Mode. Starting with Firefox 59, Private Browsing will remove path information from referrer values sent to third parties (i.e. technically, setting a Referrer Policy of strict-origin-when-cross-origin). This change prevents site authors from accidentally leaking user data to third parties when their users choose Private Browsing Mode. We made this change only after first ensuring that this would have minimal to no effect on web usability. Vendors and authors continue to propose changes to Referrers to improve web privacy, security, and functionality. In 2014, the W3C Web Application Security Working Group started its Referrer Policy Recommendation. This Policy lets vendors and authors control referrer values. For example, it defines a secure-by-default no-referrer-when-downgrade policy for user agents, which does not send referrers to HTTP resources from an HTTPS page. 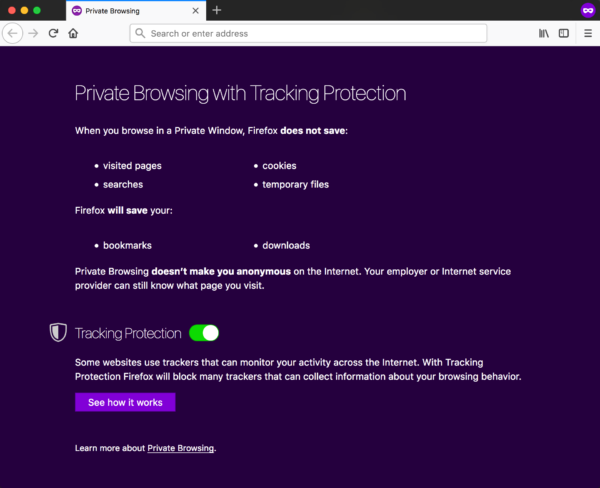 In Firefox Regular and Private Browsing Mode, if a site specifically sets a more restrictive or more liberal Referrer Policy than the browser default, the browser will honor the websites request since the site author is intentionally changing the value. Users can also change their default referrer options in Firefox. These will override the browser’s default Referrer Policy and override the site author’s Referrer Policy, putting the users choice first.